Jayveeh Long Beach Island Resort is a fairly new resort that is nestled on a small island blessed with fine white sand and unpolluted crystal clear blue waters declared a marine sanctuary by the Municipality of Talibon where it belongs. The whole place exudes a tranquil ambiance being far from any other habitation, with mangroves where different marine species seek refuge, and coral formations that are preserved and protected. It is an ideal place for scuba diving, snorkeling, or simply swimming. Jayveeh offers seven (7) room accommodations, five (5) native cottages, two (2) tents, and umbrellas that visitors can rent. It has a restaurant that serves breakfast, lunch and dinner of tantalizing and mouthwatering seafood dishes upon booking. The owners, Mayor Juanario Item and his wife, Babie, are still in the process of developing the resort with plans of putting up function halls, a spa, and additional rooms that can accommodate large groups or families. 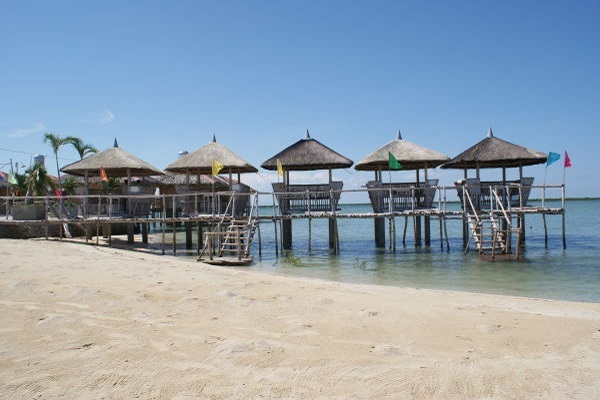 Jayveeh Long Beach Island Resort is located at Mahaba Island, Calituban, Talibon, Bohol. 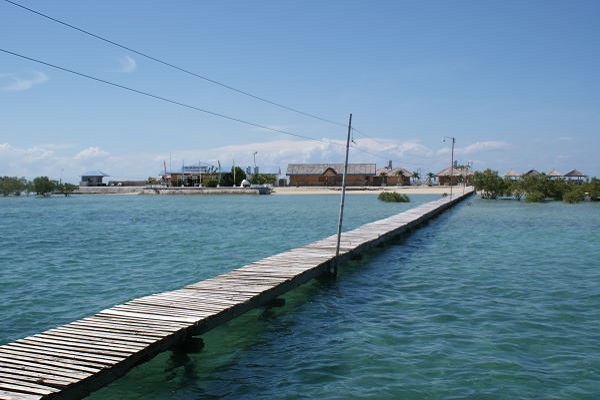 Mahaba Island is part of Barangay Calituban, one of eight island barangays of the Municipality of Talibon, which is located on the northwest side of Bohol. Talibon bounded on the east by Bien Unido, Trinidad on the south, on the north by Camotes Sea and Getafe on the west. 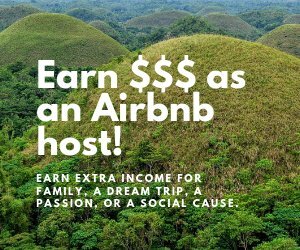 It is accessible by land trip from capital Tagbilaran via eastern exits of Bohol Circumferencial Road, which are 148 and 114 kilometers respectively or through the interior road via Loboc which is 109 kilometers. 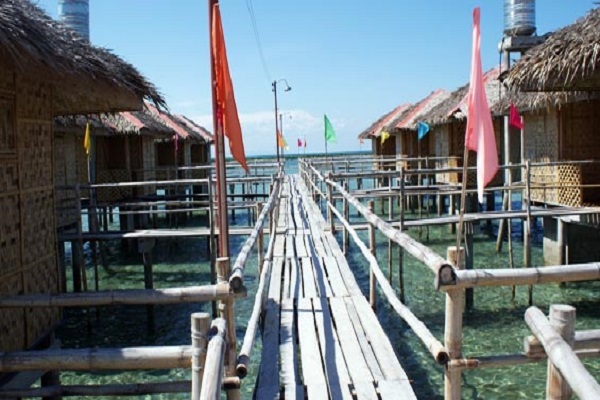 It can also be accessed by boat direct from Cebu or via Tubigon then by land from Tubigon to Talibon. 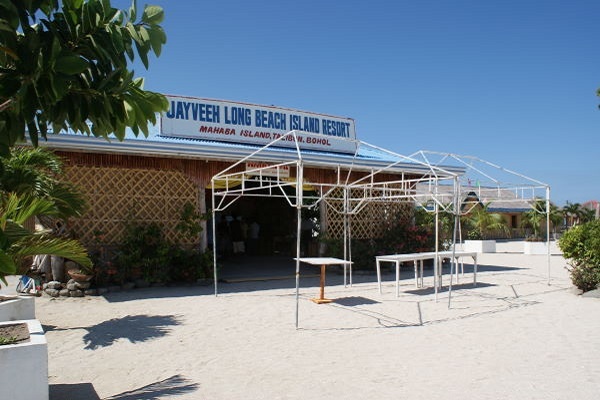 The Jayveeh Long Beach Island Resort boasts of seven (7) room accommodations housed under a contemporary building with a restaurant fronting it. It has five (5) native cottages, two (2) tents, and umbrellas. The restaurant serves seafood dishes and beverages. There are five (5) rooms that are fully air-conditioned and provided with double beds, bedcovers, linens, pillows, private toilet and bath and terraces. There are two (2) non-air-conditioned rooms provided with fans, double beds with bedcovers, linens, pillows, private toilet and bath and terraces. Jayveeh Resort has a restaurant that serves delectable seafood dishes upon booking. Some specialties are oriental bouillabaisse, seafood chowder soup; main course dishes such as mixed seafood New Burgh, breaded fish fillet with tartar sauce, poached Lapu-Lapu with black beans sauce, Asian seafood mixed grilled, grilled fish with lemon butter sauce and calamares. An assortment of beverages are available: San Miguel beer, Mucho, Pepsi, Tanduay, red wines (ordinary), coffee with coffeemate, coffee (3n1), black coffee, Milo, tea, mango juice, and pineapple juice. 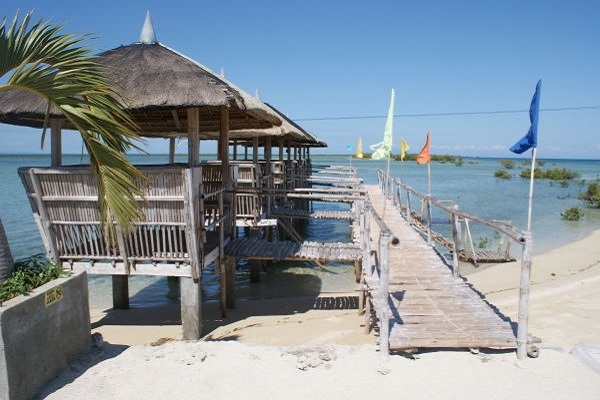 There are five available native cottages on stilts for rent situated directly at the beachfront. At high tide, the bathers can just jump off or dive from the cottage itself directly to the water below. There are two (2) units available and also for rent. They are large tents that can accommodate families or groups of bathers. For those on a budget, beach umbrellas are available at a much lower rental cost. Boat service is available to ferry guests from the port of Talibon to the resort and vice versa. Boat fee is negotiable. Equipments for simple aqua sport activities are available as well as facilities for games such as beach volleyball and others. 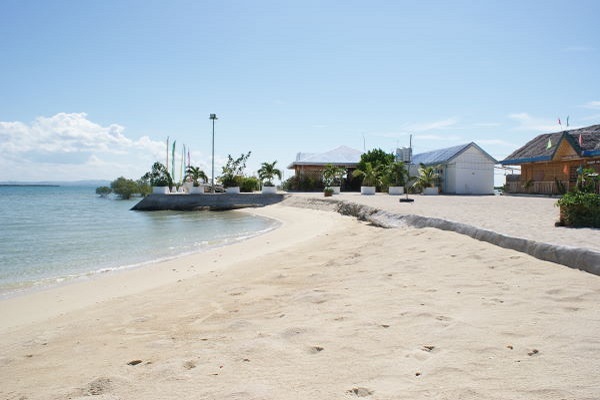 Fish cage, mangroves, fish sanctuary, seashells (along the seashore), white sand beach at the other end of the island. Jayveeh is the first resort ever built in Talibon and growing. 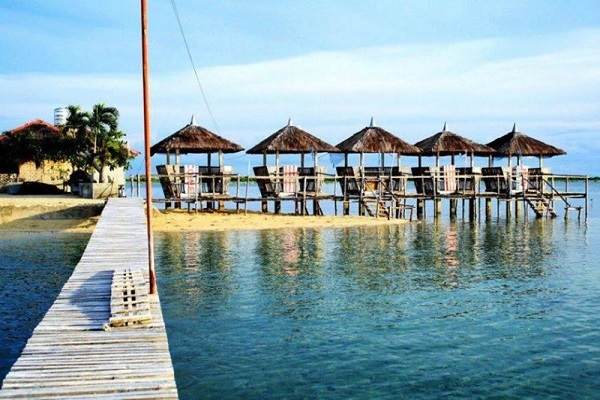 The owners are envisioning a resort that can compete with other first class resorts in Bohol. And this is not far to go. Construction is on-going and amenities being upgraded. Sans the lack, one can enjoy the white sand beach, the crystal blue sea, the fresh sea breeze, and the comfort and convenience of their rooms. 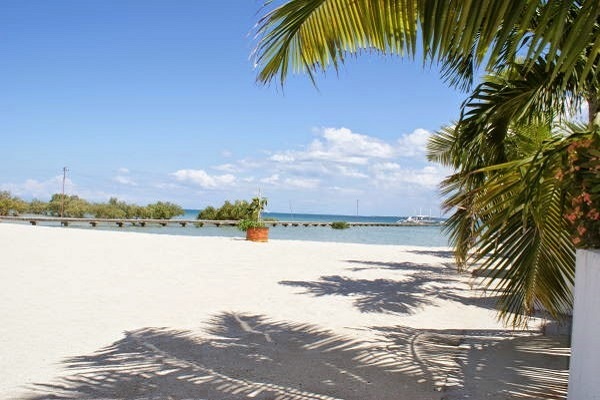 The resort is nestled on an island which is bare of vegetation except for the mangroves. And it is relatively flat. With no barriers, guests can enjoy both the magnificent sunrise and the majestic sunset and a panoramic view of its island neighbors. Enjoy peace and quiet with only the seabirds to entertain you. No noise. No crowds. A tranquil haven. Bask in God’s glory and the splendor of his creation. Throw your worries to the winds . . . for now, at least. Give yourself and your loved ones a treat. Stay at Jayveeh Long Beach Island Resort and go home rejuvenated and fulfilled!